Christina Pacosz launches Summer Kitchen Series tomorrow! 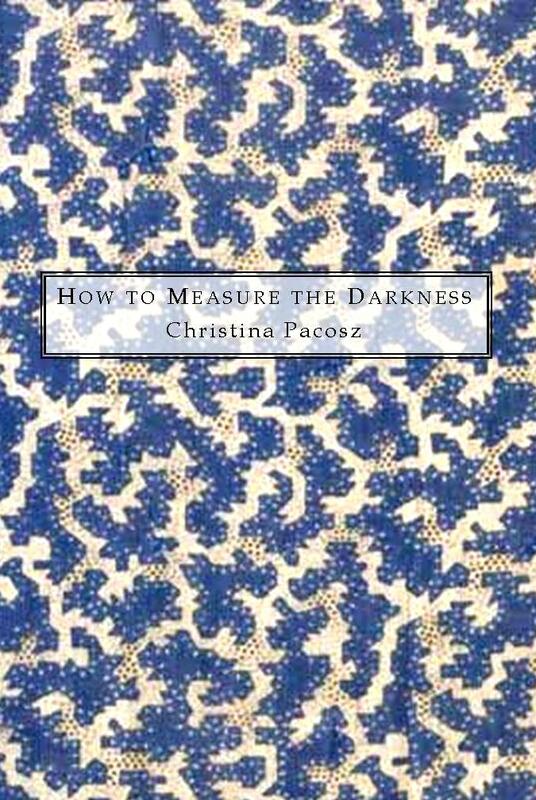 We’re delighted to launch our third annual Summer Kitchen Series with the release of How to Measure the Darkness by Christina Pacosz. This is a limited-edition series; some copies are still available. Get the full details here. This entry was posted in author updates, publication news, Summer Kitchen Series and tagged Christina Pacosz, How to Measure the Darkness, publication announcement, Summer Kitchen Series on July 10, 2012 by Seven Kitchens Press.